I'm torn when it comes to this album. There's so much potential it seems in the writing of many of the songs but in the end it really seems to fall flat in some places. Take the first track "The Good Don't Last". This is probably my least favorite song on the album, and yet I liked it so much the first listen. But, the more I listened to the song (lyrics specifically) the more I disliked it. Neal Morse, in his attempt to ridicule the hollowness of popular culture, really fell into the same hole. The lyrics seemed just as hollow as some of the stuff he was mocking. Sad, considering the rest of the song is really good stuff. Songs 2-4 I'm going to put together. While they really sound like filler tracks, they're actually quite good. "In the Mouth of Madness" I consider to be a shorter, harsher version of the first song. I think it works a lot better here, as if they weren't trying to stretch out one idea into a 10 minute song when half that time works well. Neal sings well, but the treatment Nick D'Virgilio gives the song on the "Live" album does it a little more justice. "Cakewalk on Easy Street" and "June" are decent, but not worth buying the album for by themselves. "Strange World" is where things start to pick up. A few other reviews above have noted that this song is not particularly proggy, and that's certainly true, but I see the change as a little more refreshing here rather than when it can seem really awkward. The shift puts more emphasis on the lyrics, and the lyrics really succeed in setting up the rest of the music. "Harm's Way" is undoubtedly one of the better tracks on the album. The actual music begins to flow really well. Some excellent organ work at the beginning. One of the things I like particularly about this song is that there's nothing really fancy about the first few minutes; no mind-blowing guitar or keyboard heroics, just solid work. Similar in a way to Tony Kaye's contributions on the first few Yes albums. Nothing spectacular, but it sounded good. Alan Morse finally contributes an excellent solo midway through (I don't care much for shredding). Then of course, right back to my initial problem with this album: too much wasted potential. I've listened to it several times, I've looked up the lyrics online, I've asked other people what they thought, but every time I arrived at the same conclusion: "What?" Neal has his moments, but this song is not one of them. It really seems as if he's trying to imitate some of the more lofty lyricists in the genre rather than writing his own stuff. It sounds clunky, confusing, and even for prog, downright bizarre. "Flow" probably is the best song on the CD. I would say some Yes influence (among others) at the beginning, which works well in this instance. At long last, there are some powerful lyrics with some driving music. (Somewhat ironically, the best lyrics may actually be the only ones Morse didn't write). "True Believer" is an excellent piece of writing, taking advantage of less technically driven, but fundamentally proficient work. "Into the Source" is a great way to cap off the song, and the album to some extent. So again, "The Kindness of Strangers" really could be spectacular album. But there's just too many holes to keep it from getting there. But the point is, it does attempt to get there. It's a 3.5/5 for me, but worthy of rounding up. 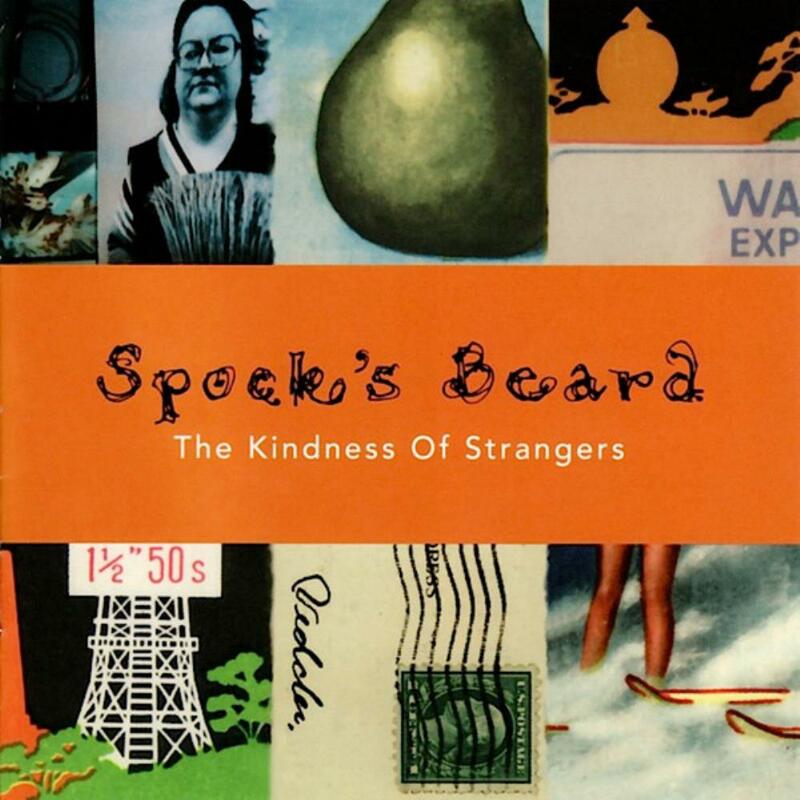 If you're looking for some music from Spock's Beard, this one isn't a half-bad place to start.